Woohoo 4.1 km. Wait a second something doesn't look right with this map. The course was steep too with some long "go-around" route choices. 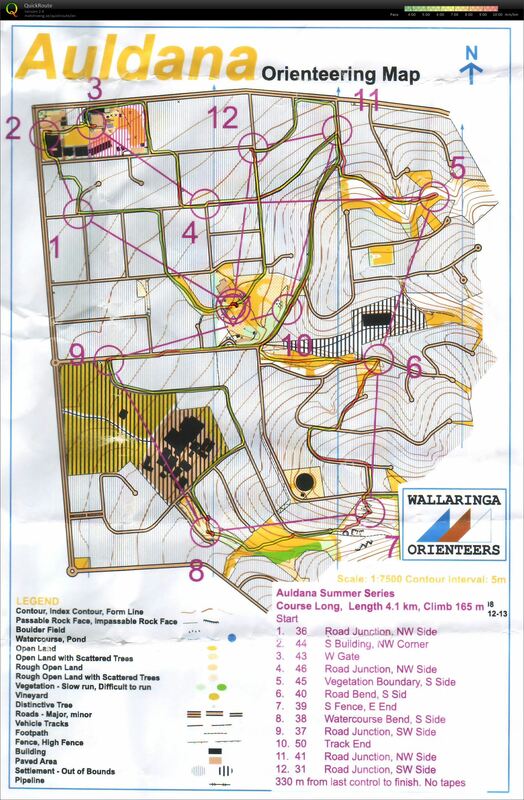 Still good fun, and Quick Route just confirmed that the map was 1:10 000 with the course measured at 1:7 500, meaning that the straight line of the course was actually 1/3 longer than advertised at 5.4km. Not a worry though and I managed to catch Fern and we got to run together for quite a bit of the course. Phil Hazell on his bike was actually not too far ahead of us for the majority of the course since he had to carry his bike to the majority of the controls.